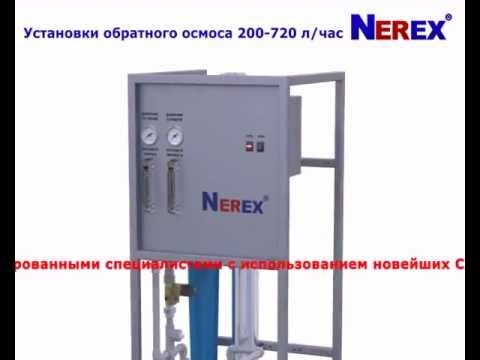 The NEREX company was established in 2008 by a group of water treatment experts. A lot of leading Ukrainian companies trust us with the design, manufacturing and installation of water purification systems for more than nine years. 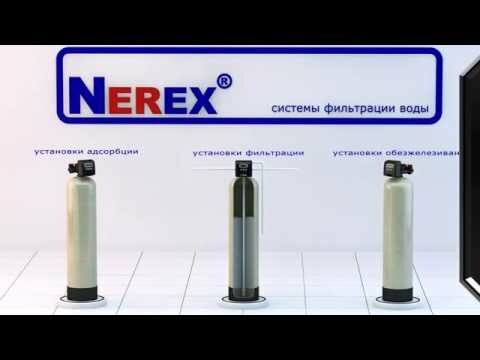 The NEREX became a leading Ukrainian manufacturer of reverse osmosis systems and ultrafiltration, water purification systems in the container, that does full service engineering and turnkey projects for the clients. Our company has competitive advantages on the international markets. We stand out from other manufacturers from China, India and Turkey, due to several reasons: Ukrainians have a European-like mentality, they are easy to communicate with, have excellent time management skills and highly competent while building a long lasting partner relationships with clients. Each client has a dedicated Account Manager with decent English. We value high integrity and keep our word, promise only what can be delivered. You can easily monitor how the equipment is being assembled via online tools, or come and see the production process in person. Our production facilities are located 30 km from Boryspil airport in Kyiv, which is the capital of Ukraine. Because Ukraine is conveniently located almost in the center of Europe it allows for a quick logistics and product shipment anywhere in Europe within 5 days. We accept orders from 1 or 2 pallets, worth a minimum $10,000. Even with such a small order the shipping fee will be only 5-7% of the total order value. When ordering large quantities the shipping cost is even smaller. We have access to the sea shipment and can send cargo to almost any country in the world from Odessa sea port. Ukrainian sea ports do not freeze in the winter, therefore it is possible to ship cargo all year round. We advise to ship fully loaded 20 feet containers. Ukraine is famous for its "brain” resources, recognized world class experts in the field of aerospace, military industry verticals. The specialists working in our company have engineering degrees from higher education institutions. Our company employs professionals with previous experience working for the largest companies from the military-industrial complex. Our professionals have extensive experience in designing reverse osmosis systems, ultrafiltration, filters, etc. Nerex produces equipment based on the in-house 3D blueprint drawings in SolidWorks, AutoCAD. We are able to produce equipment accordingly to any type of blueprints provided by the clients. We discuss and approve the technological, the electrical schematic and 3D model of the equipment with the client prior to the production phase. Our production capabilities allow to reduce the equipment production time on the agreed blueprints to 7-14 days. Nerex operates both on the domestic market and abroad. For export deliveries, we provide ready-to-use water purification plants as well as assembly of systems under the customer's brand. The labor associated costs are very low in Ukraine. We are ready to provide assembly work at the above price. Ukraine is a leading producer of the metal, that’s why ordering the production of steel construction from us is very cost effective for the clients. We have manufacturing capacity for products made of black metal with paint and/or stainless steel. CNC machines, cutting, welding, painting, high quality powder enamel. Our steel/metal products prices are very competitive even when compared with Chinese manufacturers. We do our best to produce only the top quality product. This is the main argument for building long-term partnerships with our clients and their retention. 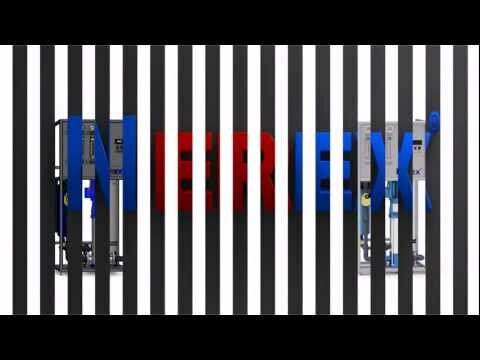 A: Nerex manufacturers reverse osmosis systems, ultrafiltration, water purification systems in the container and does full service engineering and turnkey projects for the clients. A: Nerex can provide very competitive prices due to low labor and material costs in Ukraine. Q: What is the quality of products? A: Because we are a leading Ukrainian company that establishes long term partnerships with clients, high expertise of specialists and quality control we deliver European quality products to our clients or money back guaranteed if not satisfied. Our clients can watch online how the equipment is being produced or come in person to our facilities. A: You will get high quality products at a low price. Delivery is within 1-2 weeks. Thus, you will gain competitive advantage on the market or lower you purchasing budget.